Thread: lunch bag batting? foam? hello fellow quilters and sewists! I have an odd question . . Someone (thank you!!) 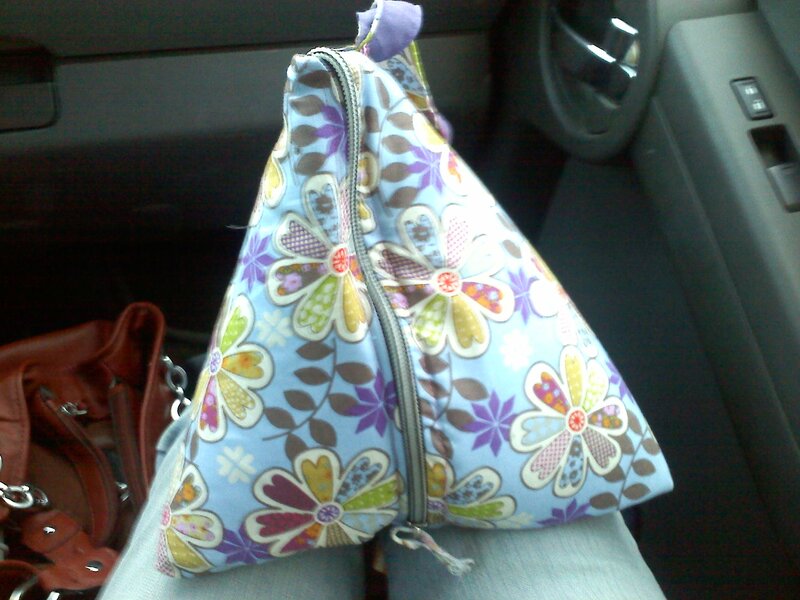 posted the tutorial for the teepee bag, and I used the guts out of her old one (dog chewed) and improvised this version. it was a very thin foam, almost like styrofoam. squeaky like that it that makes any sense!! Looking to make another, and wondering what to put inside it! Does insul brite work for cold too? Or is that just heat? Regular batting would not be good with the condensation, right? Hoping to have an idea, so I can get some materials to sew tomorrow. yay for sewing plans! I use insulbrite and a layer of PUL, so it can easily be wiped inside. 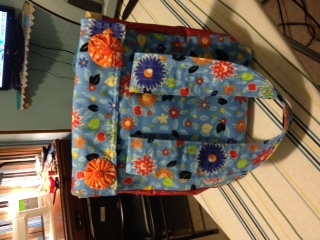 I just made my 1st lunch bag. I used a vinyl coated fabric for the lining and for insulation I used 1 layer insulbrite, and I also bought a window shade from the Dollar Tree and cut it up and used it! It helped make the sides firmer, but the combo of those 2 things makes that little lunch bag keep things cold! It does way better than any store bought bag I have. I'm going to do it again for sure. How about useing a vinyl shower curtin for the liner, with batting? oh a shower curtain is a great idea!! what exactly is pul? I know walmart sells clear plastic on a bolt.. seems pretty thick though . . I have come across bits of it in the remnant bin before . . I'll try again for a picture! Window shade means those silver car window fold-up thingy's. PUL is the waterproof fabric that is used for making diaper covers. I purchased some at JoAnn's to use as the inside of a travel tote/make up bag. It is 100% washable and feels like fabric, unlike the vinyl covered fabrics and laminates. Check www.byannie.com and look at the Soft and Stable. I think it would work very well with a layer of insulbrite to give your bag shape and body. 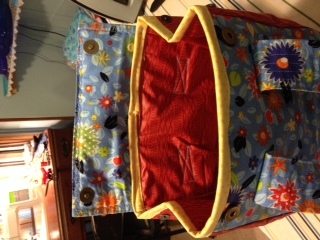 I used it in a purse and the sides didn't droop and collapse like they would have with just an interfacing. WOW, what fantastic ideas, car window shade, shower curtain, vinyl I knew and insulbrite. Should make them for my grand children. You can get those shower curtains at the dollar store for a couple bucks. I just got anew one last week for $2.50 and it's 6'x6'.